Stir up some spectacular sales with the Wooden Spoons Coupon, a perfectly seasoned marketing tool that really hits the spot. 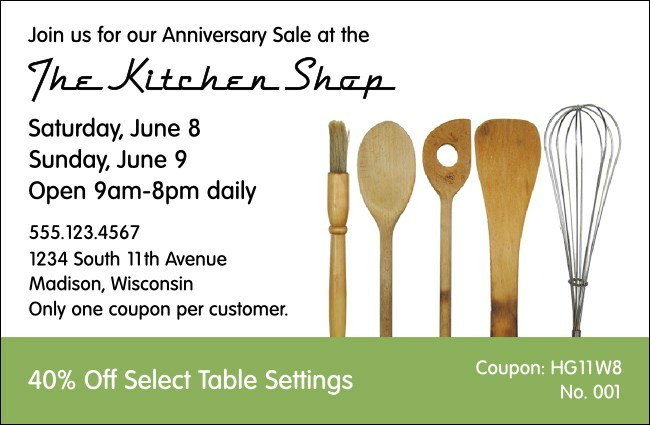 For restaurants, kitchen stores, and any business that wants to evoke a homey feel, this one-image-upload coupon template is delicious! Spice it up with TicketPrinting.com.